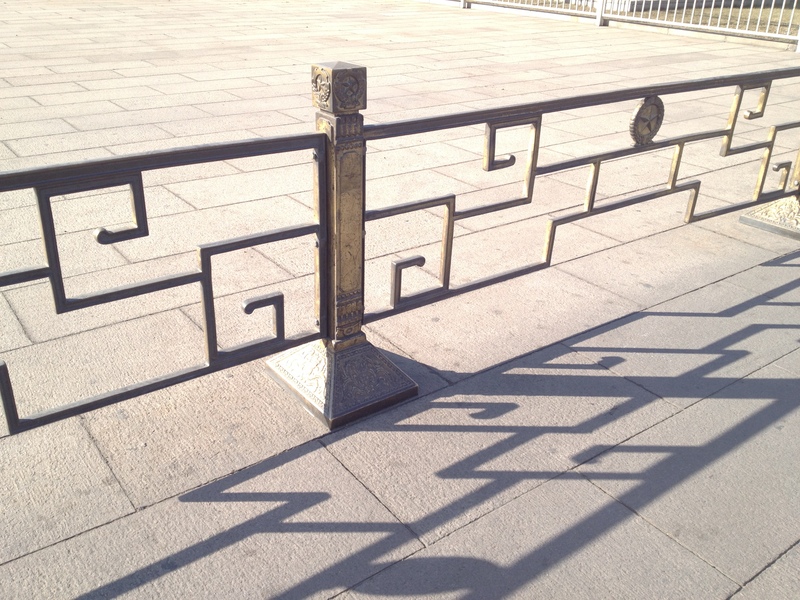 It was sunny in Tian An Men Square the other day when I went there. I forget which day it was. Here is a photo of a fence with a pretty design.